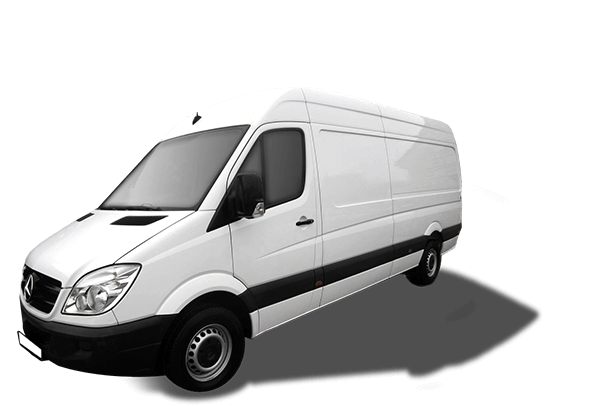 Our vehicles consist of Long Wheel Mercedes Transit Vans and the slightly larger Luton Transit Van. With up to 1.5 tonnes of payload each, they are spacious and well-equipped to handle even the largest house removal job. 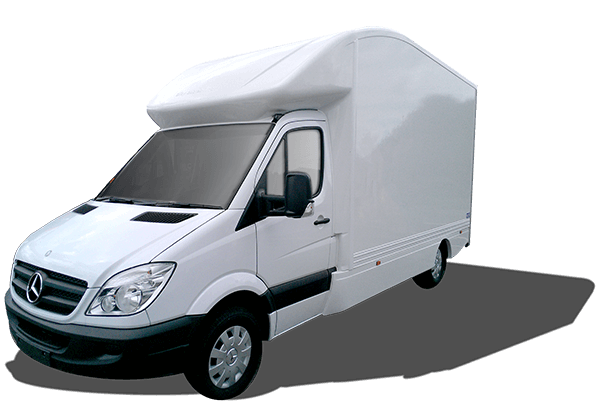 All our vans are fully carpeted and come with professional moving blankets, tie straps, a trolley and mattress cover. Our vehicles are fully insured and come equipped with the latest GPS technology. How Many Removal Vans Do I Need? The vans are spacious to begin with. Ranging from 10.5 to 18 cubic metres in volume, they can transport an awful lot of goods in one trip, particularly if they’ve been packed well. 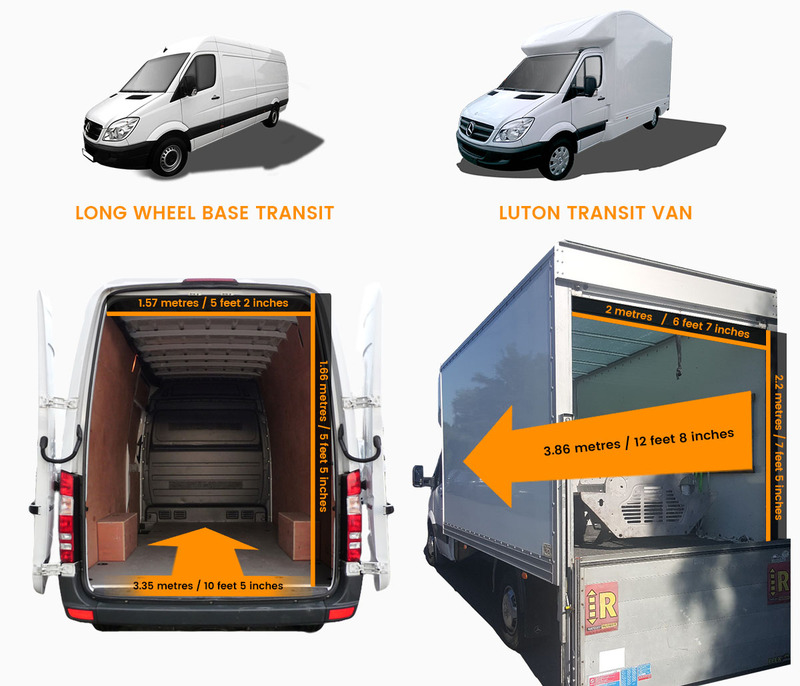 Even if a removal exceeds the capacity of 1 van, it’s cheaper to make two legs with the same vehicle than fork out on an extra van and driver. When Might I Need Two Or More Vans? Multiple vans tend to be needed when people move longer distances. The way both vans can arrive at the new home simultaneously, rather than make journeys to and from the old house. If that’s the case, you can book multiple vans and we’ll arrive as a convoy. Sometimes multiple vans are needed if residents have separate destinations, such as students moving out after exams or couples breaking up. In this case, it’s more efficient to hire two smaller vans that can head to different houses once everything has been loaded.